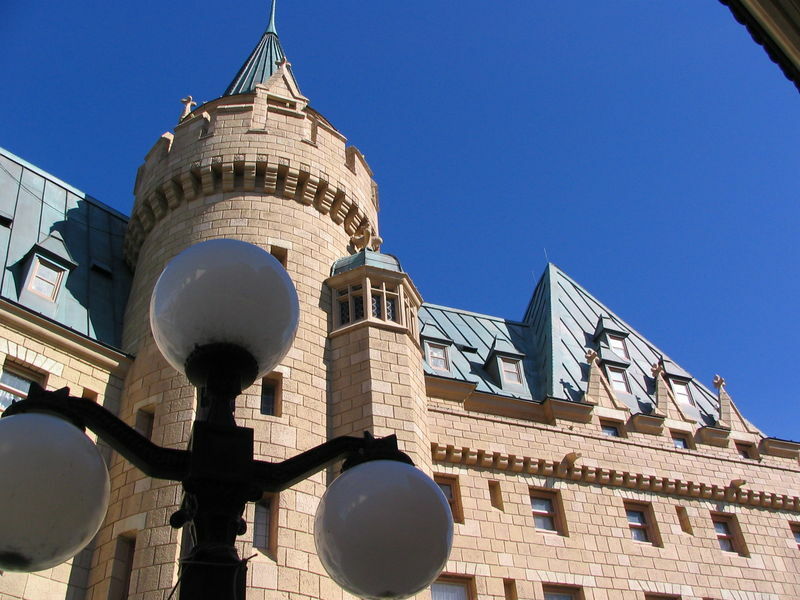 Disney Imagineers chose to provide a wide representation of Canada by using a number of iconic symbols. The Hotel du Canada building is modeled after the architecture of a very posh hotel in Ottawa, Victoria Gardens provides just a small taste of the beauty of Butchart Gardens in British Columbia, totem poles represent the Native Indian culture of the northwest, and the waterfall and landscape towards the back represent Canada's great outdoors. Canada's attraction is "O Canada," a 360-degree CircleVision visit to the country. Dining includes Le Cellier, a full-service restaurant known for its steaks and seafood. Location: The first national pavilion on the right as you enter World Showcase from Future World. O Canada! A CircleVision film showing scenes from all over Canada. Le Cellier Steakhouse An old-fashioned steakhouse, featuring Canadian-farmed beef. La Boutique Des Provinces French-Canadian art pieces. Trading Post Frontier-themed gifts as well as maple syrup selections. Here you will find a list of selected rides, shows, or restaurants that have been removed fromWorld Showcase - Canada, never to return. Off Kilter An interesting blending of Celtic and modern music; plus the men are in kilts.